It's not something we're typically accustomed to being asked but times have changed and so has an employer's liability for those he or she employs. If you're being considered for a new job, need a background check, or your job requires you to be fingerprinted, Scotty's Investigations can help you through the process. Now, there's no need to spend a day traveling back and forth for fingerprinting service. 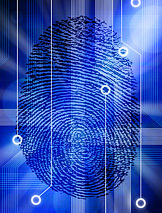 If you are a Maryland resident in Allegany or Garrett County, Scotty's Investigations is the only local independent contractor trained and certified to process fingerprints for submission to the State of Maryland's Criminal Justice Information System's Central Repository. And Scotty's convenient Cumberland location saves you hours of travel time and additional expense. Many employers and volunteer agencies now require new employees and volunteers to obtain a criminal history check before starting work. In many cases employers are required to perform these background checks by law. Authorized non-criminal justice agencies and individuals may obtain criminal history record checks for employment and licensing purposes. Background checks are now required for many jobs and situations ranging from business and professional licensing to childcare, public safety and security, mortgage banking, adoptions, racing, elder care, educational, and recreational settings. 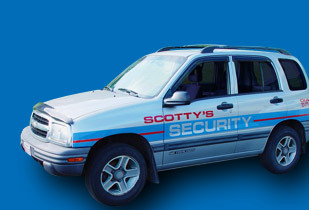 With Scotty's Investigations, you are assured of fast and accurate fingerprinting. The process is simple. Gone are the days of messy ink. Using digital technology and high-resolution scanning technology, Scotty's Investigations is well-equipped, trained, and certified to take your fingerprints and submit them to the Criminal Justice Information System in minutes. The chance of print rejection due to poor print quality is greatly reduced and, in most cases, your criminal history check is returned to your employer in as little as three to four days. Don't risk your time, money, and a potential new job--Call Scotty's Investigations TODAY at 1-800-285-2992 to learn more about their fast, accurate, and convenient fingerprinting services. Fees include State, FBI (where applicable) and fingerprint surcharge ($21.00). Maryland CJIS fee, where applicable is ($18.00). Contact us today to see how we can help protect you.